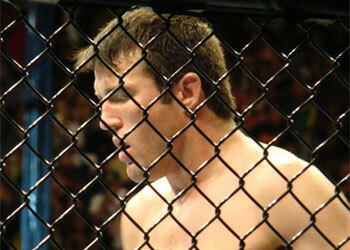 Middleweight Chael Sonnen was supposed to appear as a guest on this week’s edition of MMA Live to address the “abnormally high levels of testosterone” he registered in a loss to Anderson Silva at UFC 117, but it appears as though Sonnen has called a last-second audible. “Chael Sonnen is unable to joins us on MMA Live tonite. We’ll still break down the entire situation,” ESPN’s MMA Live tweeted. This past Sunday, the MMA world got flipped upside down when Sherdog.com reported Sonnen had flunked his UFC 117 drug screening. After much speculation over what type of substance triggered the positive read, California State Athletic Commission executive director George Dodd told SI.com the 33-year-old confessed to using an illegal performance-enhancing drug leading up to his showdown with the middleweight king. Since then, Sonnen was not only suspended for a year by the CSAC, but the UFC has already opted to move forward without the alleged PED abuser by replacing him with Vitor Belfort. “The Phenom” is expected to challenge Silva for his belt at UFC 125 on January 1st. Instead of preparing for his immediate rematch with the planet’s best middleweight, Sonnen will now have to watch from the sidelines as he contemplates his MMA future. Clearly, someone from within Sonnen’s inner circle felt an appearance on ESPN2 wouldn’t be his best move at this point in time. Sonnen’s camp intends to appeal yesterday’s imposed suspension on December 2nd in Sacramento, but the damage has already been done and the odds of the aspiring politician receiving a get out of jail free card are remote. Regardless, his continued silence has already rendered him guilty in the court of public opinion. Watch tonight’s Sonnen-less show on ESPN2 starting at 10PM PT/1AM ET.